I believe I professed my love for the american breakfast in a previous post. Well, on Friday, I had it again for dinner. Sausages, mushrooms, bacon and eggs - the easiest way to get to me. 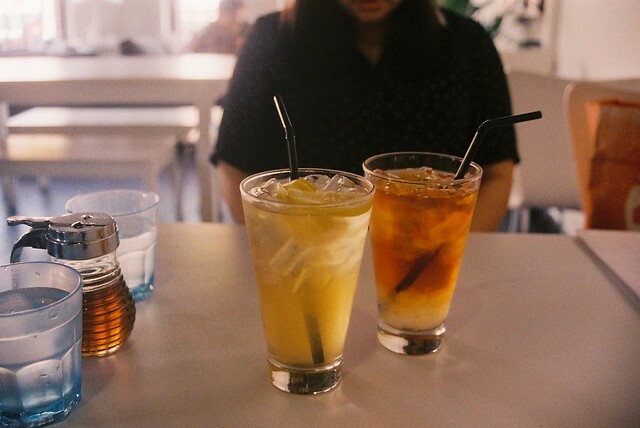 I also dug up another bunch of photographs when we were at The Loft Cafe, guess what I was having at tea time? 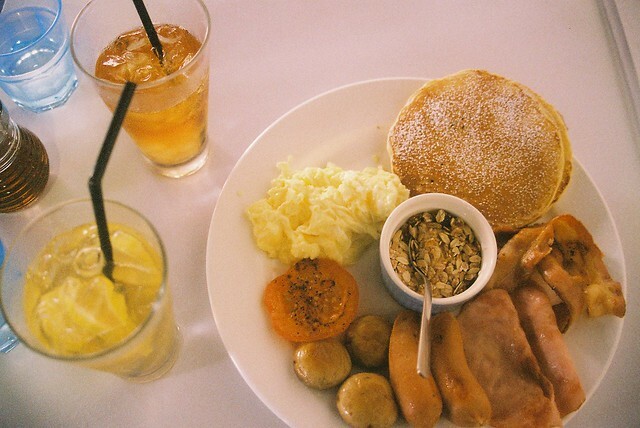 That's right, american breakfast, with an extra side of pancakes. Cook up some eggs, stat! thank you, mindy! i have lots more to come!